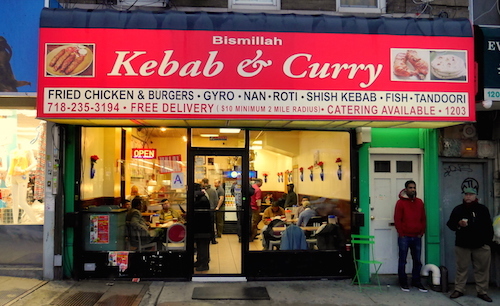 Bismillah lies in far eastern East New York, just a couple blocks from the border of Queens and Ozone Park of which this section of Liberty Avenue tends to look more like. 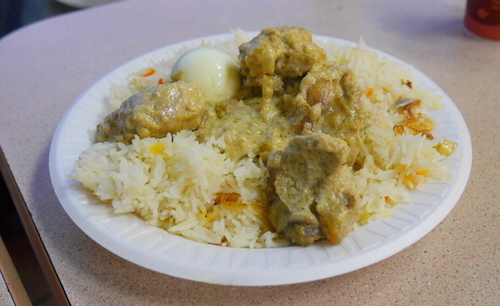 The sun was still creaking through some dark clouds, but heavy enough rain was falling that when I arrived a good crowd of Bangladeshis was seeking refuge inside, mostly over a cup of tea and friends. The place is an obvious hub for the small community here, as men discussed politics and gossiped. Some women came in for takeout, and the place seemed to be making their money in that way, as each of these men taking up a chair was only paying $1 for their sweet tea with condensed milk. 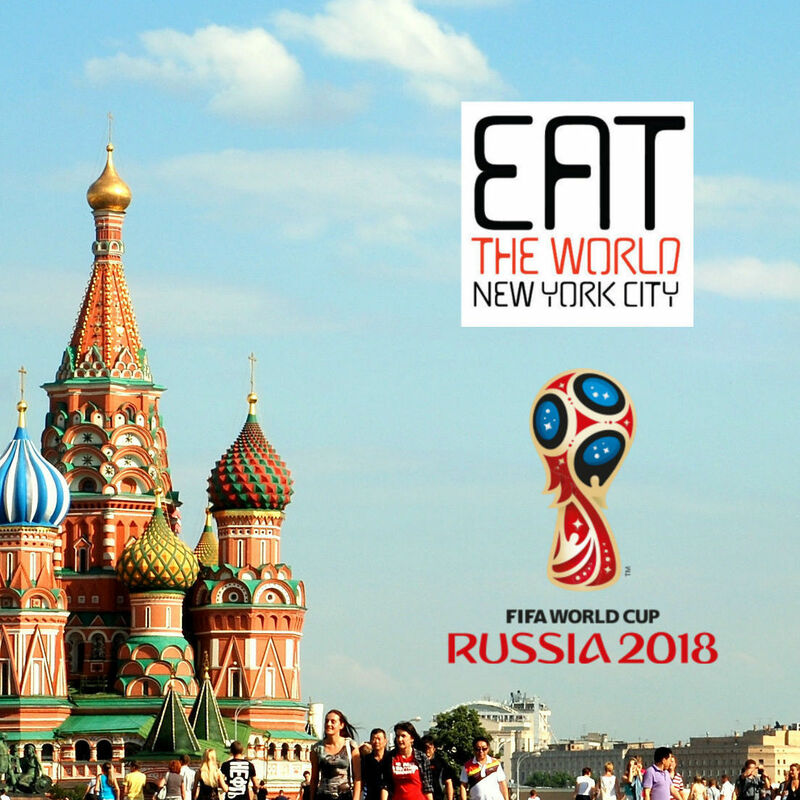 A big part of the reason to come here is precisely for the atmosphere, to soak in a cafe where you feel like a foreign traveler. The food is not bad, but it is not going to win any awards. These men are probably going to go home and eat their wives' cooking later, but you and I do not have a Bangladeshi wife now do we? Taking my cue from the awning and name of the restaurant, I thought kebabs were the way to go and asked about the few they had listed on the menu. Some were unavailable, but thankfully the delicious shish kebab ($2, below is two portions) is always easy to obtain. It needs no sauce, or even the lettuce it is served with for that matter, and pops into the mouth easily after they cut it into small hunks for you. 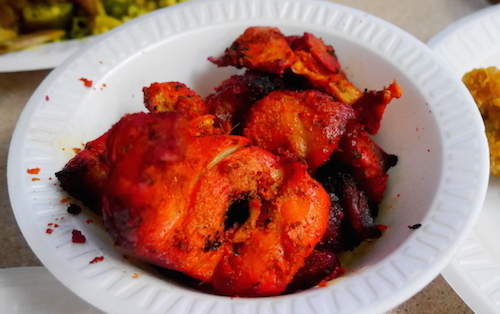 When I inquired about the bihari kebab, the young man insisted the meat below to be it, but it was certainly just chicken tikka. 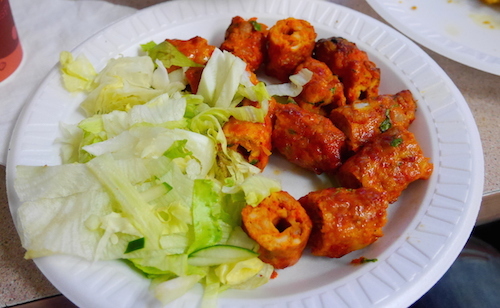 Thankfully, it was an excellent chicken tikka and only costs $4 for the portion. When we shared things around the table, this was the dish that more hands went back to for seconds than any other. 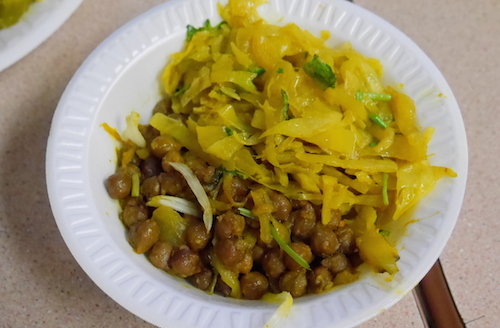 A portion of veggies from the steam table were also enjoyed, including chickpeas and cabbage as seen below, welcome relief from the piles of heavy curry and meat seen later. 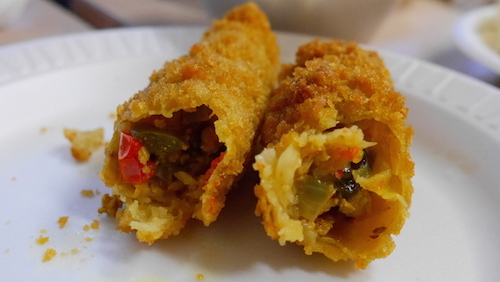 An appetizer that was not much enjoyed was the crispy fried roll below, costing $1 and not having much taste inside. It was just a little too greasy to enjoy, and should be picked up with a napkin. Most of my party got options from the steam table, and here are a look at those plates. 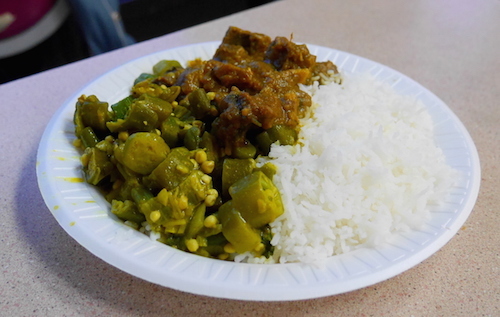 As often times happens at a South Asian steam table, the items contained a lot of similar tastes despite a varying range of colors. Soon I will like to return to the area and continue a walk down Liberty Avenue and 101st Avenues, which split here and venture into Queens. 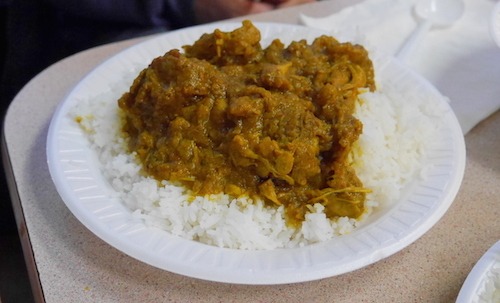 The South Asian descendents of Caribbean islands become the neighborhood's main occupants, and seeing the crossover might be fun to explore.